Nearly 40 per cent of all eligible Jewish Canadian men served in the Second World War. They fought in all of the major battles, from Dunkirk to Normandy, Hong Kong to Ortona, and in the liberation of Holland. Yet unlike their comrades of other religions, they faced a double threat: they served at great personal risk, should they be captured by the enemy, and their religious identities be uncovered. As Bessner will explain, Canadian Jews volunteered for this war not only for patriotism but also to save their Jewish brethren from the Nazi’s Final Solution to annihilate the Jewish people. Ellin Bessner is a veteran Canadian journalist based in Toronto. 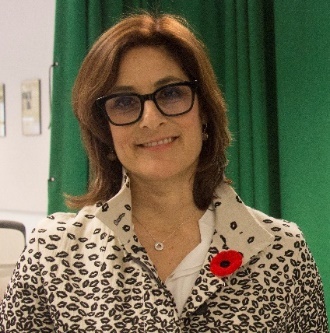 Her career has taken her around the world, working for CTV News and CBC News, and also stringing for the Globe and Mail, The Canadian Press and other new organizations. In 2018, she published her first book, Double Threat with University of Toronto Press, based on the experiences of Canadian Jewish servicemen during the Second World War.